This Autumn Bison Bowl is the perfect fall meal to enjoy the labors of an American harvest. It features ingredients that are indigenous to America and would have been eaten during the time of Pocahontas. 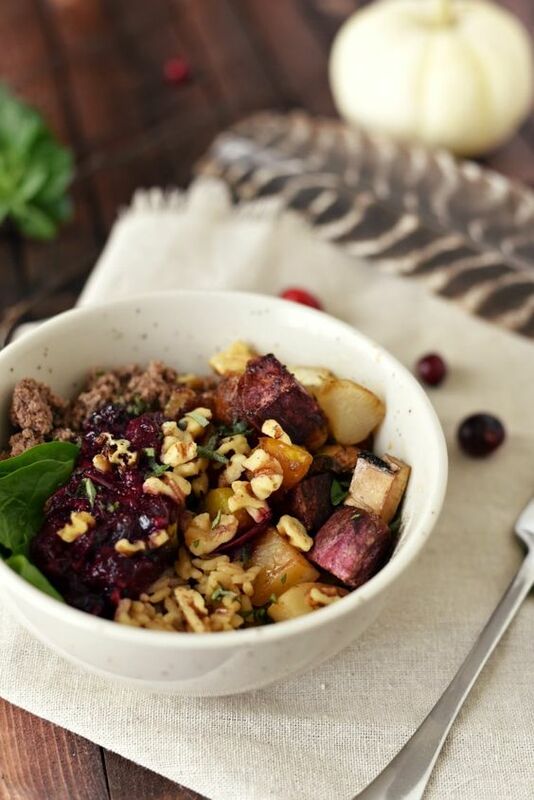 This hearty yet flavorful bowl is filled with wild grains, roasted vegetables, and ground bison and topped with a berry sauce known on "wojape".